There will be a farbrengen for men in honor of Vov Tishrei this Tuesday night, September 30, at Tzemach Tzedek following the Maariv at 9:30 PM. Vov Tishrei is the Yarzeit of the Rebbe's mother, Rebbetzin Chana Schneerson. 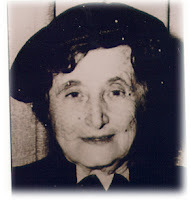 For a biography of Rebbetzin Chana click here.